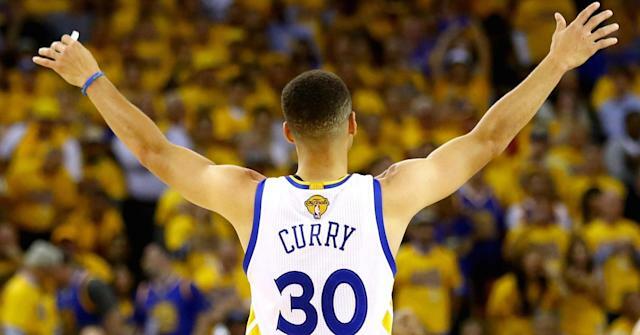 Stephen Curry was overlooked by virtually every big Division I college basketball program. The thin, baby-faced guard went on to make a splash at Davidson College, a tiny liberal arts school in North Carolina, before foregoing his senior year to enter the NBA. Today, he is one of the greatest basketball players in the world, having already secured a championship with the Golden State Warriors and two consecutive NBA MVP awards. The basketball sensation, who is currently on a marketing tour of China to promote his sponsor Under Armour , recently shared the three moments he knew he'd "made it" in terms of success and fame. "The first one was, we played a game in New York and I scored 54 points," Curry told CNBC . "That was the first time I was actually talked about as a lethal scorer." "The second," he continued, "was probably playing for our first championship, which is something that is every player's dream — to get to that level and be playing for the ultimate goal." The third "make it" moment happened last summer, when Curry got a call from President Barack Obama asking if he wanted to play golf. "That was probably the icing on the cake right there," he told CNBC.